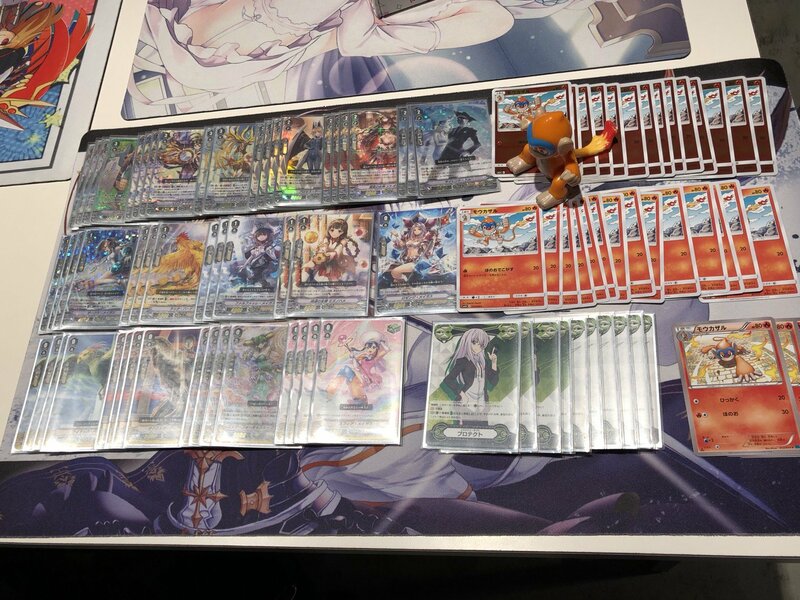 The 1st Sukacat VGCS at the Tokyo Metropolitan Tournament Center "Bato Loco" in Takadanobaba, Tokyo, ended today with overall 41% of all participants in the team tournament running Oracle Think Tank decks. 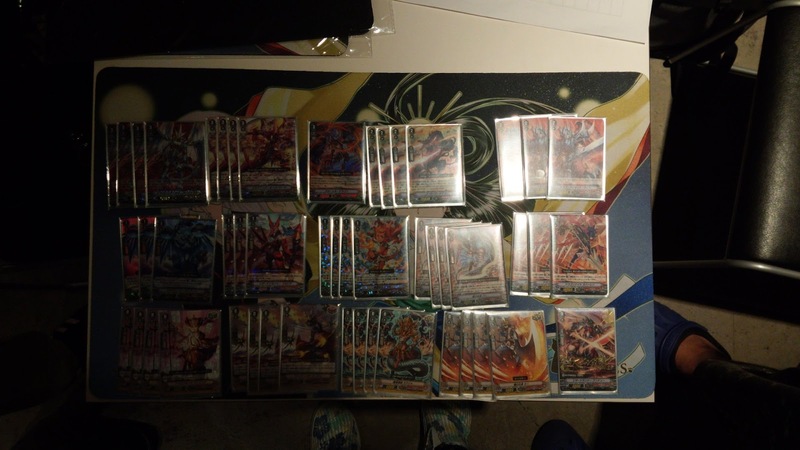 First place went to Team Samurai Flamenco running Oracle, Oracle, and Kagerо̄, second place to Team Umapyoi Densetsu running Oracle, Royal Paladin, and Oracle, third place to Team Moukazaru running Royal Paladin, Oracle, and Royal Paladin, and fourth place to Team l Doll meets [sic] running Kagerо̄, Oracle, and Oracle. 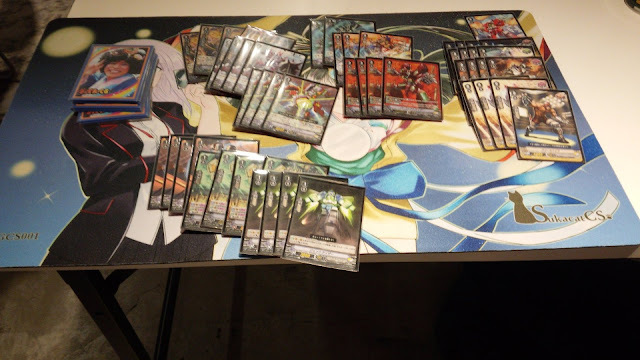 Decklists are provided below, and in addition to the core tournament results we also have the first-place lists from the seven sub-tournaments run concurrently with the top cut. 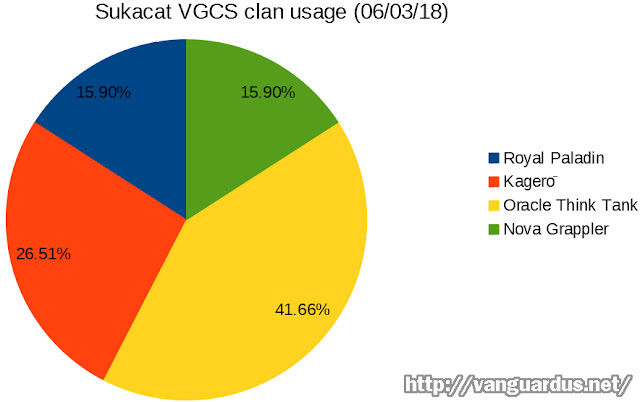 The 1st Sukacat VGCS was originally set for a maximum of 126 participants, but ended up over capacity with two extra teams. Prior to the tournament there was a great deal of discussion and an open vote on whether or not to restrict clan usage for the event. 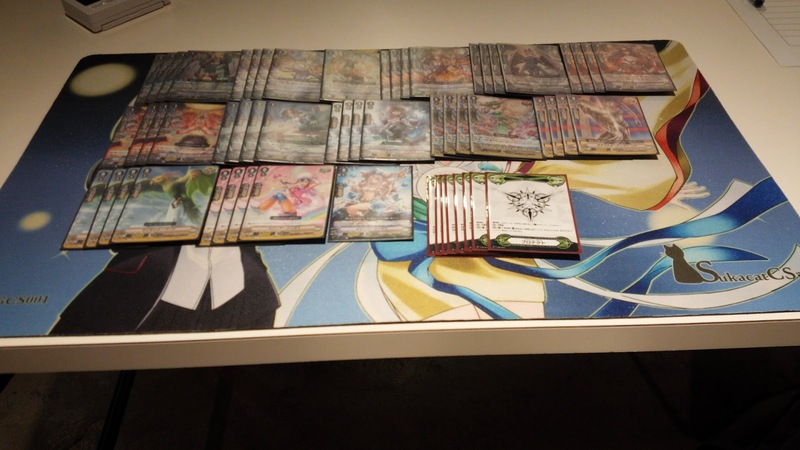 Many team tournaments prevent team members from having overlapping clans, but this rule could prove problematic in a format with only four possible clans to play. 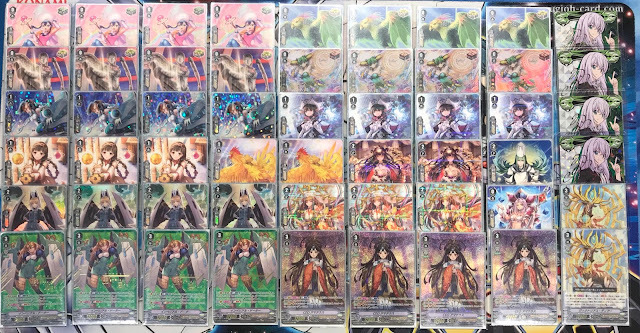 Ultimately Sukacat did not restrict clan usage, and the end result was that nearly every team had two Oracle Think Tank fighters on it. Public opinion has generally shifted towards Oracles as the best clan in the format. 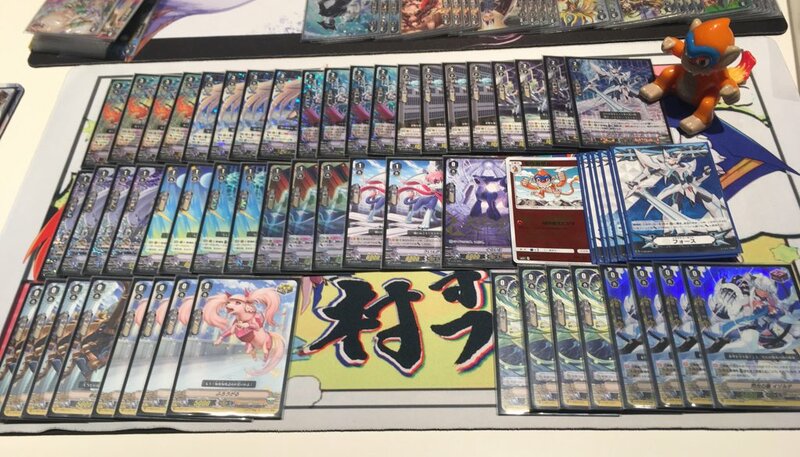 Team Moukazaru member Masshi had been considering running Nova Grappler in the days leading up to the event, and even borrowed a Nova deck from their friend Raito, but decided to stick with Oracles because they "wanted to win." 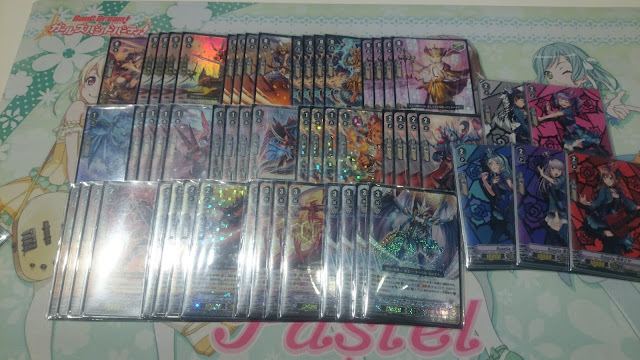 The tournament bracket for the initial top cut consisted of 4 Royal Paladin, 1 Kagerо̄, 12 Oracle Think Tank, and 1 Nova Grappler decks. Top 4 consisted of 3 Royal Paladin, 2 Kagerо̄, 7 Oracle Think Tank, and 0 Nova Grappler decks. The Sukacat VGCS consisted of four Swiss rounds of 30 minute best-of-one matches between teams, followed by a cut to a 3-round tournament bracket with 60-minute best-of-three matches for the finals. Entry at the SukaCat CS cost 4500 yen per team, around $40 at current conversion rates. 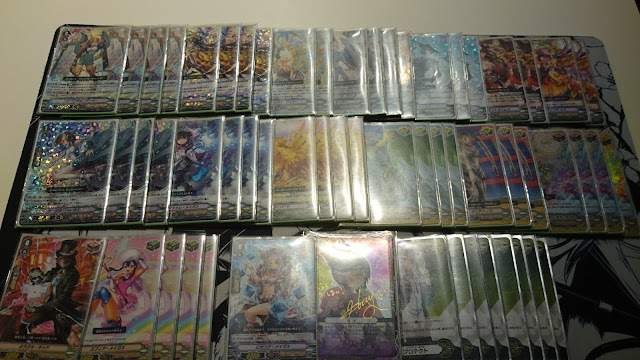 Team Samurai Flamenco won 12 boxes of V-Booster Set 01: UNITE! 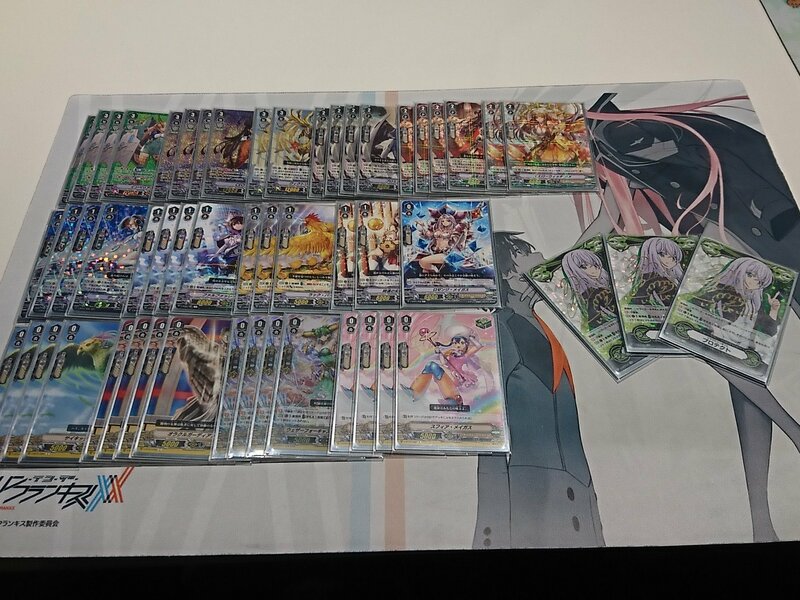 TEAM Q4, as well as three playmats exclusive to the Sukacat VGCS, and three Pongal promotional cards featuring the shop tournament winner gold foiling. 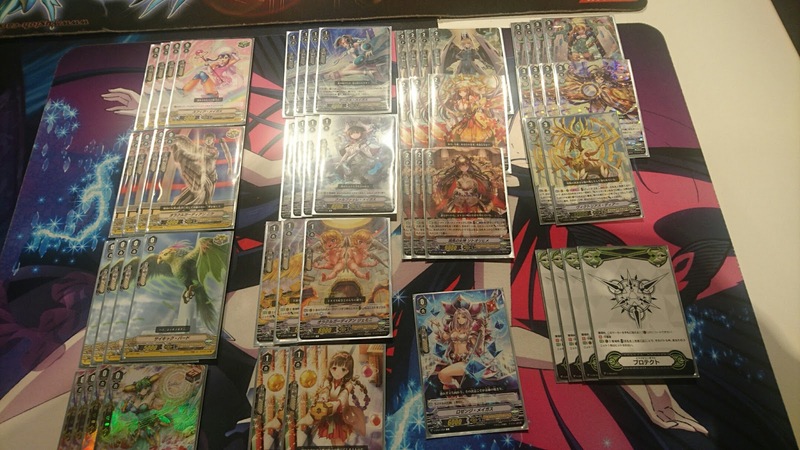 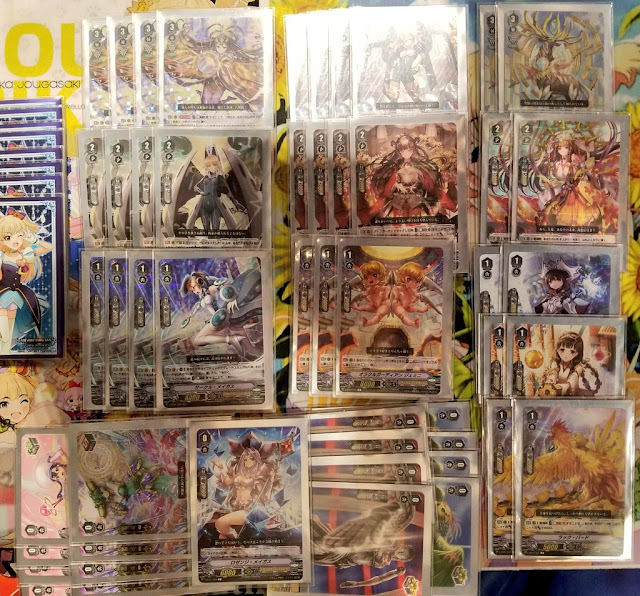 Team Umapyoi Densetsu won 6 boxes of V-BT01 and three Sukacat VGCS playmats, Team Moukazaru won 3 boxes of V-BT01, and Team l Doll won 1 box of V-BT01. 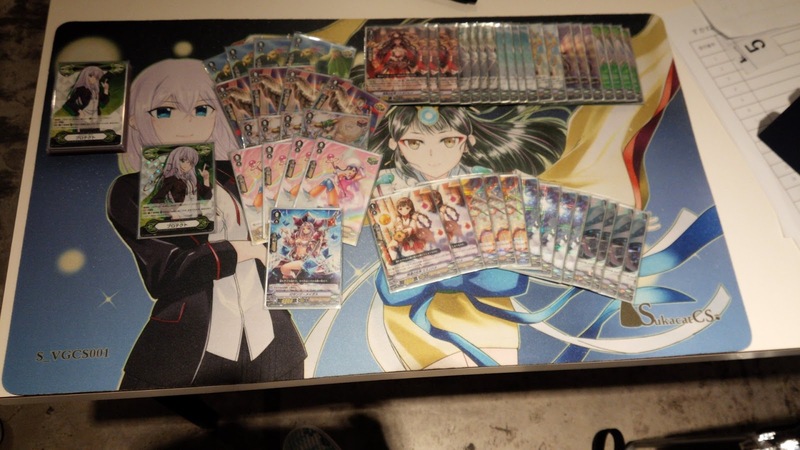 All participating teams received 3 copies of the High Dog Breeder Seiran promo. Next went 6-1 with his Kagerо̄ deck, facing Royal Paladin (loss) Oracle, Oracle, and Kagerо̄ in the preliminaries, then went 2-0, 2-1, and 2-0 in the top cut, all against Oracle decks. Ryo went completely undefeated in both rounds and sets, facing Kagerо̄, Royal Paladin, Nova Grappler, and Nova Grappler in the preliminaries, and Kagerо̄, Oracle Think Tank, and Royal Paladin in the top cut. Shiimo went 6-1, facing Oracle, Kagerо̄, Oracle, and Oracle in the preliminaries, then Oracle, Kagerо̄ (2-1) and Oracle (0-2) in the top cut. 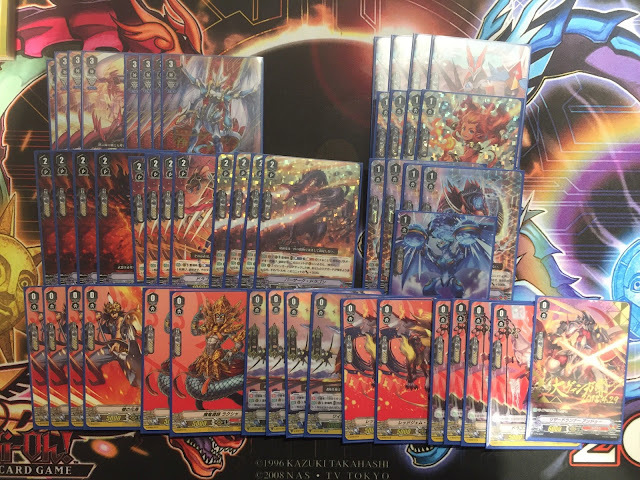 KD went 6-1 overall, facing Kagerо̄ (loss), Nova Grappler, Kagerо̄, and Kagerо̄ in the preliminaries, then Kagerо̄ (2-1), Royal Paladin, and Oracle Think Tank in the top cut. 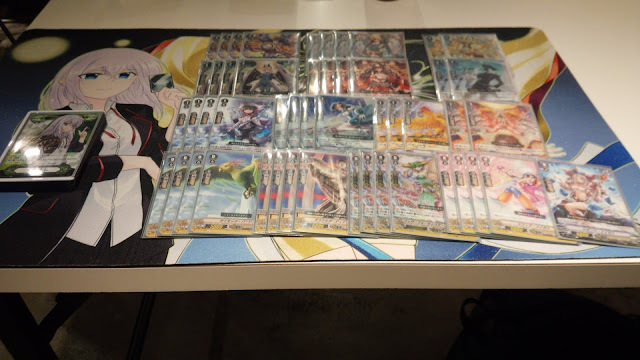 Ahiru's record was not posted. Note: The team is named after the Japanese name of the Pokémon Monferno. 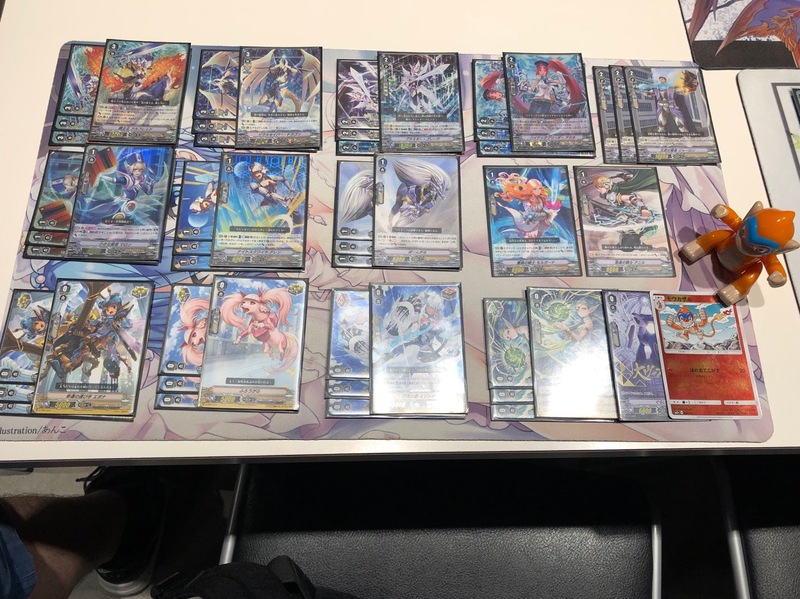 Masshii went 5-2, versus Oracle, Royal Paladin (loss) Oracle, and Kagerо̄ (loss) in the preliminaries, and Oracle, Royal Paladin (2-1) and Oracle in the top cut. 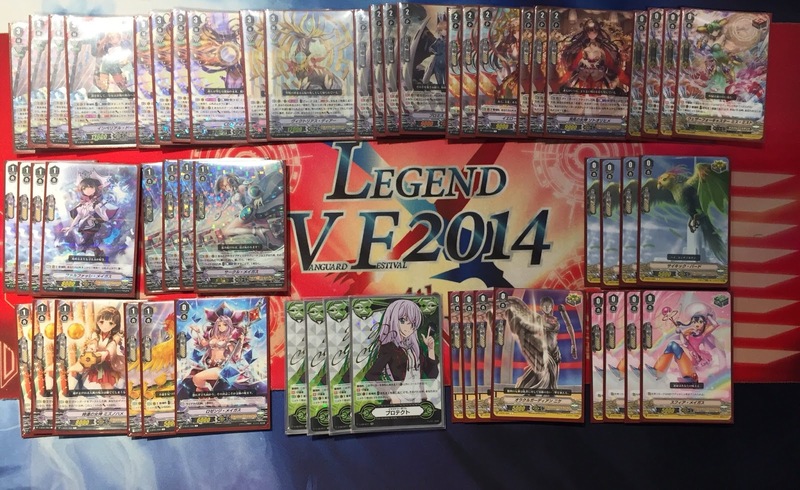 Ebi-kun did not post their record. Basshii did not post their record. Rabi went 5-2, versus Nova Grappler, Nova Grappler, Kagerо̄, and Kagerо̄ in the preliminaries, followed by Nova (2-1) Kagerо̄ (2-1) and Royal Paladin (2-0) in the top cut. 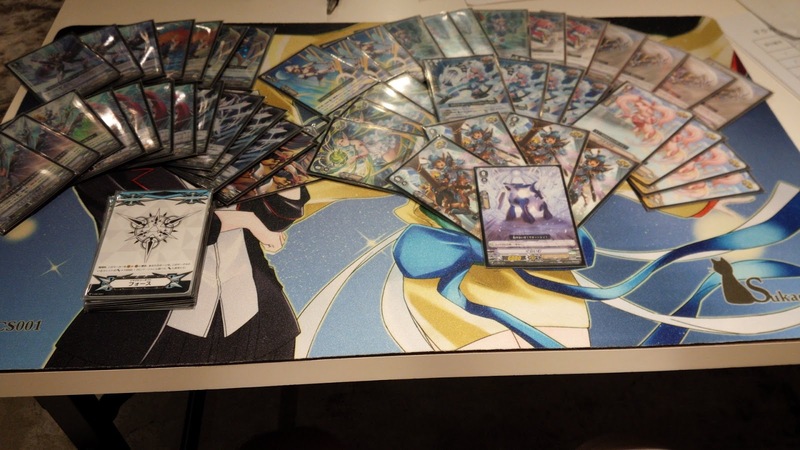 Pakocha's record was not posted, but lost the pre-match games of rock-paper-scissors 1-6. In addition to the main event, seven 16-person sub-tournaments were held with a playmat or a booster box of V-Booster Set 01: Unite! Team Q4 on the line. 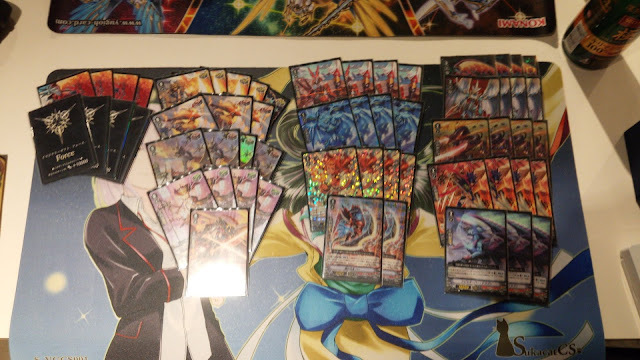 Each of the fighters below is a first-place top.